James Earl Jones, Angela Lansbury, Candice Bergen and more star in Gore Vidal's political drama. What Is the Story of The Best Man? 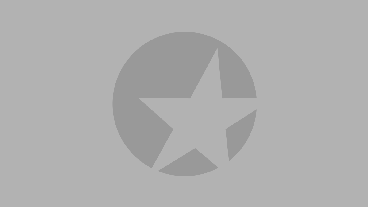 Set in 1960 at the National Convention in Philadelphia, The Best Man is the story of two presidential candidates hoping to earn their party’s nomination: Secretary William Russell (John Larroquette) and Senator Joseph Cantwell (Eric McCormack). When Cantwell threatens to smear Russell’s reputation with a rumor about his mental health, Russell faces a tough decision. Will he unleash an equally devastating smear on Cantwell to win the presidential ticket, or keep his moral integrity intact even if it means losing the race? John Larroquette brings a mix of gravitas and ruefulness to Russell, whose only apparent shortcoming is trouble remaining faithful to his wife. Director Michael Wilson’s cast is like the U.S. flag — stars of every stripe from film, TV and stage. What Is The Best Man Like? 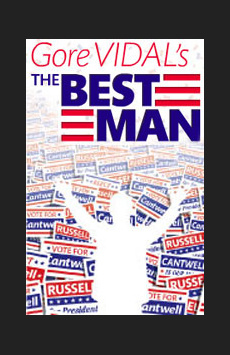 The Best Man is a gripping and humorous behind-the-scenes look at the race for the presidency. Director Michael Wilson includes the audience in the action, decorating the Schoenfeld Theatre with brightly colored banners and campaign posters. The lush, rotating set gives audience members a voyeuristic look into the hotel rooms of both presidential candidates, and the cast of theatrical heavy hitters (including James Earl Jones as the former president and John Larroquette and John Stamos as the two candidates) deliver powerful performances. Gore Vidal wrote this juicy drama more than 50 years ago, but it retains a ripped-from-the-headlines quality ideal for an election year revival. Is The Best Man Good For Kids? Unless your child’s eyes are glued to the screen during real-life election coverage on TV, he probably won’t sit still for The Best Man. Older teens learning about the electoral process in school may enjoy following along with the onstage election, but if your child doesn’t have an interest in politics, the revival is likely to go over his or her head.